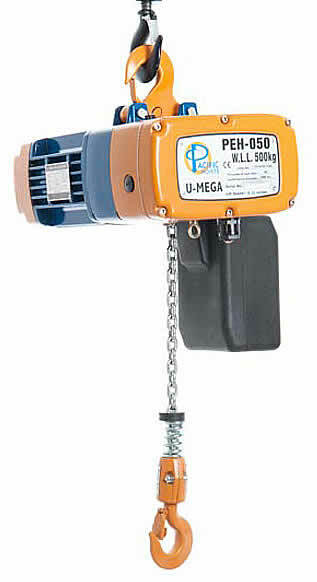 The Pacific Electric Chain Hoists offer a great balance between quality and price. The models vary from 250kg to 2 tonne capacity and are all tested to the Australian standards. All hoists are inclusive of many features which makes them suited for most applications. Optional Motorised Trolleys are available to complete the package.